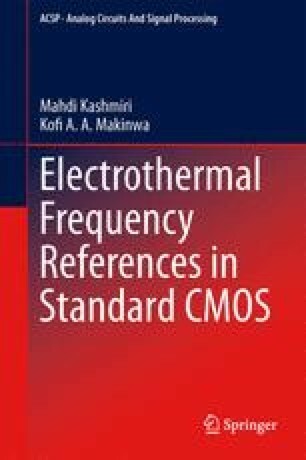 This chapter introduces the concept of on-chip frequency generation based on the thermal properties of silicon. Thermal-diffusivity of silicon, D, will be introduced as the rate at which heat diffuses through a silicon substrate. It will be described how an electrothermal filter (ETF) harnesses this physical property in order to produce accurate on-chip delays. The design of a practical ETF within standard CMOS processes will be described. It will be shown that an ETF behaves like a low-pass filter with a defined phase shift, which is a combined function of its geometry and D. Furthermore, a method of frequency generation based on an electrothermal frequency-locked loop (FLL) will be introduced. Such loop locks the output frequency of a variable oscillator to the phase shift of an ETF.